Why Should I Measure ROI? We see many companies doing a great job with social media, but when it comes time to figuring out ROI, most legal marketers struggle to do so. It’s not enough to tell your stakeholders you’ve grown by x amount of followers or received x amount of likes on your last social media post. What stakeholders really want to see is how your social media activity impacts the overall business of the firm or company. It’s important for your firm to take the following steps in order to adequately measure ROI. Your first job as a legal marketer is to figure out the business purpose for what you are trying to accomplish with social media. The most common purpose we see is to generate leads that you can then convert to new clients. Another business purpose we commonly hear is using social media to create or enhance a firm’s thought leadership position. A third objective is to provide added value to existing clients, through social media content that can help them in their day-to-day work. Lastly, firms and companies often use social media to differentiate themselves from their competitors, in terms of quality of content, consistency and ability to create valuable content. Determine which of these four objectives are important to your firm and its social media efforts. Based upon the objectives important to your firm, the next step is to define key performance indicators, or KPIs. If your main objective is to generate leads and acquire clients, your KPIs will focus on reach. You will look at how much traffic social media is driving back to your website, and out of that traffic, how many are converting into qualified leads. If your business objective is to enhance thought leadership, you will look at engagement metrics, such as how many shares, retweets and likes your social media content gets. You can also measure how many of your social media activities lead to opportunities to speak at engagements or write guest blogs for other organizations. Once your KPIs are set, the next step is to set up Google Analytics so you are able to track the success of your social media activities. You will be able to see wow much traffic each social channel sends to your website and how much of that traffic becomes a conversion, determined by the number of people who complete actionable goals you define. There are several different methods you can use to assign a value to your key performance indicators. One method is to assign lifetime value, or how much your firm earns from each client on average, giving you a number to assign as the ROI every time you sign up a new client as a result of your social media activity. You can also use lifetime value multiplied by conversion rate, which measures how much each visit is worth based on the percentage of visitors that convert into potential clients. For firms that use paid social or pay-per-click (PPC) advertising, you can calculate the estimated value of visits generated from social media in terms of how much would that cost your firm with paid social campaigns or Google Ads. The final step in determining the ROI of your social media is to compare your social media efforts to your competitors to uncover areas where your firm to stand out or enhance its thought leadership position. This will also allow you to see which social channels are most accessible for your competitors in reaching your target audience, how many posts your competitors publish per day and the amount of engagement their posts receive. Google analytics is a great tool for tracking, but it only gives users information in the aggregate, such as the total number of visits and time spent on your site. So if you want to assign a value to your social media efforts, that is where marketing automation platforms come in. 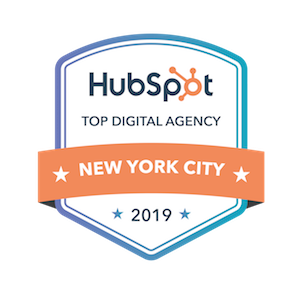 Platforms like Hubspot enable you to track someone once they are in your database and see everything they are doing across the board from a digital perspective. More and more firms are looking to marketing automation platforms for deeper analytics so you may wish to learn more about this process. However, if you are not ready to invest in marketing automation, you can add UTM tracking codes to URLs, which allow analytics platforms to determine where the person who clicked on that link is coming from. While this still doesn’t give individual information, you can track ROI based on the different campaigns you are running. These tactics will help your firm or business determine the effectiveness of its social media efforts. ROI measurements are important not only because they give stakeholders and interested parties quantifiable ways to view your marketing efforts but also because they allow you to see what works and what doesn’t in terms of social media. With this knowledge, your firm can better grow its business and achieve its goals.